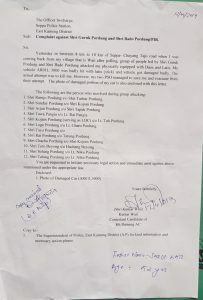 Former Arunachal Pradesh home minister Kumar Waii has alleged that Guruk Pordung and his supporters tried to kill him on April 11. Arunachal Pradesh went to both Assembly and parliamentary polls simultaneously on April 11. Guruk is the Bharataya Janata Party (BJP) candidate for the Bameng Assembly constituency seat for which seat, Waii is also contesting on National People’s Party (NPP) ticket. Waii, who is the sitting MLA from the Bameng Assembly constituency, quit the BJP in March following the party’s denial to give him a ticket to contest the Assembly poll. The FIR lodged by Waii at the Seppa police station on April 12 stated that a group of people led by Guruk and one Bado Pordung, who were fully equipped with sticks and daos (machetes), ambushed the vehicle that he (Waii) was travelling in and physically assaulted him and his PSO. Seppa, the headquarters of in East Kameng district, is around 220 kms from here. As per Waii, the group attacked him in on Seppa-Chayangtajo road while he was coming back from his village after casting his vote. A statement issued from the former home minister’s office on Tuesday said besides being armed with daos and sticks, Guruk and his supporters, who were in hundreds, were also armed with pistols. 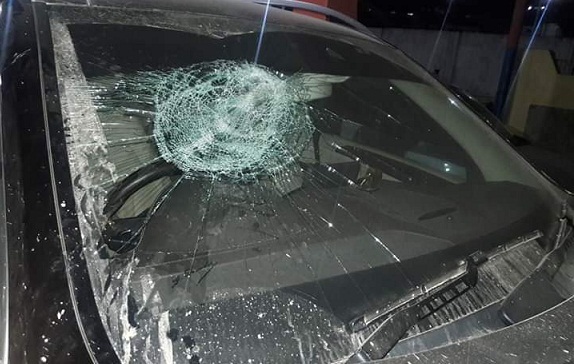 “Such violent assassination attempt on the former minister comes merely a week after one NPP worker was mercilessly killed and another assaulted in Tirap district just ahead of the elections. While this assault has sparked anger among the supporters and well wishers, serious questions are also at the same time being raised on the Pema Khandu-led BJP government’s ideology of democracy,” the statement said. Waii had earlier blamed chief minister Khandu of not giving him a BJP ticket to contest the polls as he allegedly thought him as a CM’s contender and joined the NPP. Following this, Khandu had dropped Waii from all his posts as a minister. “This is not just one incident of violence but multiple incidents have taken place in and around the state in which the BJP has used its muscle power to unethically elect its government. If violence and undemocratic means is what BJP is resorting to before they even form the government then what will happen after they take over the helm of affairs,” the statement said. Meanwhile, the polling agents of Kumar Waii have also lodged a complaint with Seppa police alleging that 10 people dismantled the electronic voting machines at Jomoh polling station under Bameng constituency while the polling was in process.